It is insidious and relentless. Stress and anxiety make it worse, and that creates more stress and anxiety. Very few people, doctors included, have even heard of it. What is it? Familial Mediterranean Fever (FMF). Likely you have never heard of it either. Disclaimer: The writer of this article is not a medical professional. 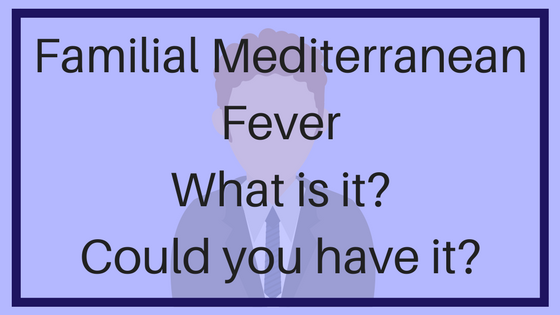 While links will … Continue reading Familial Mediterranean Fever – What is it?